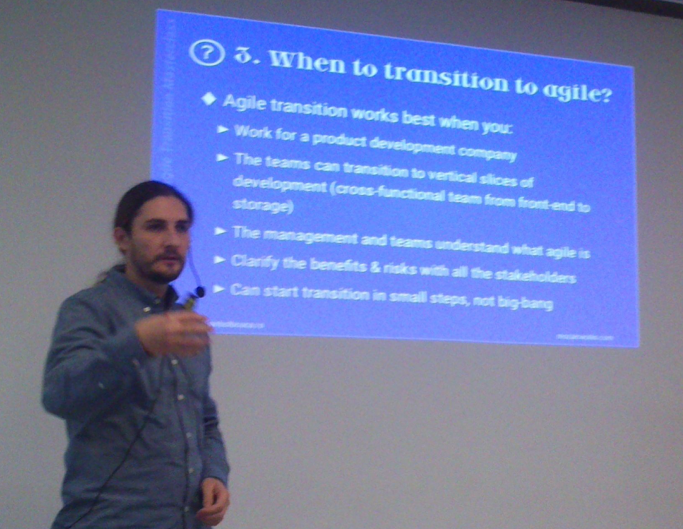 The talk is very condensed, full with ideas, examples and small but important aspects from my experience of facilitating agile transformations. Take a seat and enjoy the presentation, but remember that multi-tasking doesn’t work. So focus on this, or on something else. You can find photos, details and meetup details here. Take a visit to the Mozaic Works website, check my workshop Management: Applied Agile Transition Masterclass and the transformation programs we have. Ask and comment below. I would be happy to help.